Since the very end of March, there have been increasing amounts of schools occupations throughout France. 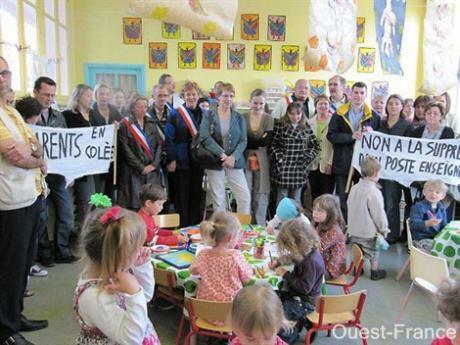 Provoked by the suppression of nearly 16,000 teaching posts, the closure of classes, the threatened closure of some of these schools and the consequent increases in class sizes, these occupations have been particularly concentrated on infant schools and primary schools, but have also included “Middle Schools” (“Collèges” for 11 to 14 or 15-year-olds) and those lycées with “Collèges” attached to them. Though it’s hard to gauge how many occupations there have been, it must be at least 250.